In and around Ada there are many interesting and impressive sights that can be visitied in tours either by land or water. Here you can find a selection of the most popular ones. If you are less than the recommended group size, please contact the tourist office and we can arrange something for you! There are also individual trips available. We take a boat to the estuary where the largest man- made lake is emptying itself into the South Atlantic Ocean. Get closer. Watch these two different coloured waters struggle with each other but never mixing together. We move into Mangrove forest on Aflive Island, taste some local gin and weave some local mats/baskets. See our friends with the long tails at the crocodile island. If you want to be a true friend to the crocs, then a live chicken would certainly be a good offer from you. 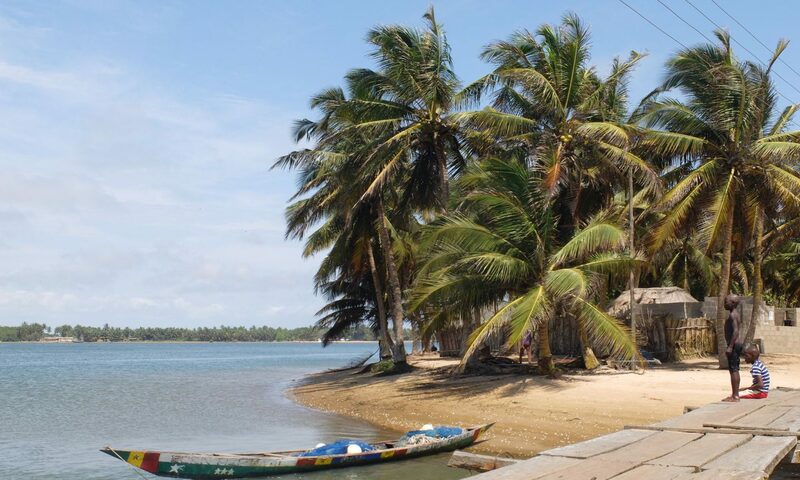 We move into Mangrove forest on Aflive Island, taste some local gin and visit the Volta Estuary. We move into Mangrove forest on Aflive Island, discover local animal species in their habitat and weave some local mats/baskets. On the same Island taste local gin and get some as a present. Meet Mamishi at her shrine and witness the ritual dance. Healing takes place by asking the gods about the sickness and what treatment she shall impose. Join one of the trained tour guides on a nightly turtle watching tour and experience one of the three different species of marine turtles coming to the beach to lay there eggs. During this week you can experience Ada at its best. Locals and tourists come together to celebrate ancient history, following a full seven-days-schedule of amazing culture display. With a guide to give pure insight of the symbolic presentation of culture, the Adas really share this lifetime-moment with you.